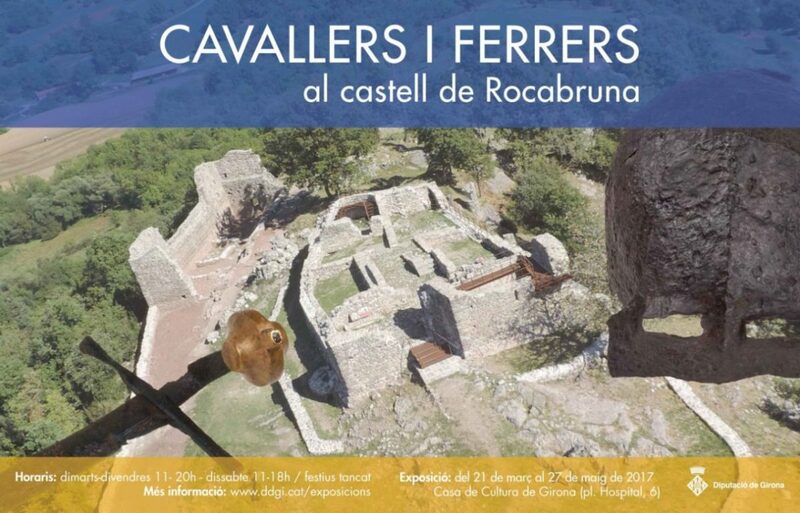 The exhibition “Knights and Blacksmiths in the Castle of Rocabruna” shows for the first time the archaeological finds found in the Castle of Rocabruna (Ripollés, Catalonia) during the process of its recovery as a military monument built between the XIII and XV centuries. The exhibition not only displays swords, daggers, helmets and other military artifacts, but also utilitarian and decorative objects, testimonies of daily life in a medieval castle. For the exhibition assembly, a special showcase was designed according to the conservation requirements combined with a support for the graphic information. In addition, a catalog was published to publish this extraordinary collection of medieval artifacts.